Tracking your Workouts just got Fun. Introducing Gyminize, the only workout tracker you need. Designed for and inspired by iOS. ● Create your own Workout Plans: You know best what is working for you. Decide how many exercises you want to include, how many sets, select a rest time and that’s it. 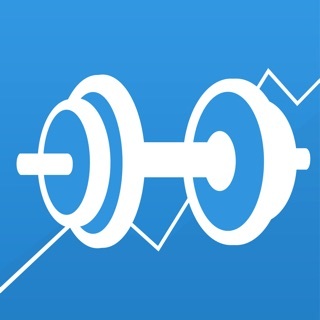 ● Track your workouts with ease: Gyminize lets you track your workouts with ease and some smart tricks. ● Exercises: Gyminize comes preloaded with over 60 Exercises, but you can easily add your own. It also has support for multiple exercise types! Create exercises similar to planks, or any other duration exercise. ● Progress Photos: Sometimes, the scale just does not cut it. Take Photos of yourself to really compare your progress! 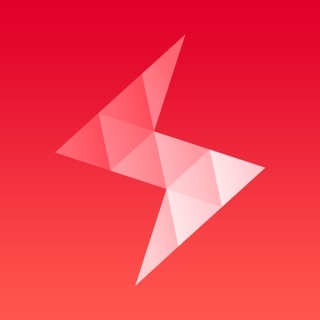 ● Customizable Feed: Customize your Feed to however you want to see it! Add or remove statistics, measurements or widgets. ● Track Measurements: Keep track of your weight, arm circumference or chest circumference. ● Statistics: View Statistics about your progress. You can view your total time spent lifting weights, total calories burned, total weight lifted and much more. ● Achievements: Stay motivated during your workout by unlocking Achievements! They can be unlocked by completing simple tasks like completing your first workout, or more challenging ones, like completing 100 Workouts. Some of these Features require Gyminize Premium. Payment will be charged to your iTunes account at confirmation of purchase. Your subscription will automatically renew unless auto-renew is turned off at least 24-hours before the end of the current subscription period. Your account will be charged for renewal within 24-hours prior to the end of the current subscription period. Automatic renewals will cost the same price you were originally charged for the subscription. You can manage your subscriptions and turn off auto-renewal by going to your Account Settings on the App Store after purchase. You can cancel anytime. Download Gyminize now for free! It’s time for another Gyminize update! This update includes a lot of feature wishes that I received from you. * Quick Start Workouts: Now you can start workouts without first creating a workout plan! This means you can try out different exercise combinations, and after your workout then save them as a workout plan. * Sort Exercises by Muscle Groups: Now you can sort exercises any way you want, alphabetically or by their muscle groups! * Switch between Automatic/Manual Workout timer: Now you can choose to start your rest timer whenever you want, without Gyminize forcing a rest time upon you! Enjoy the added freedom. * You can now view your completed sets in the workout history as well: Just tap the little info button next to the exercises and see every set you have done in the workout. * A lot of little UI updates. Have fun discovering them! * Improved State Restoration: Gyminize can now remember you last place in the app even better! If you have any more feature requests, feel free to let me know! That is the only way for me to improve Gyminize even more. Thanks for using Gyminize! If you enjoy it, please leave a review on the App Store. This really helps with discoverability for small developers.